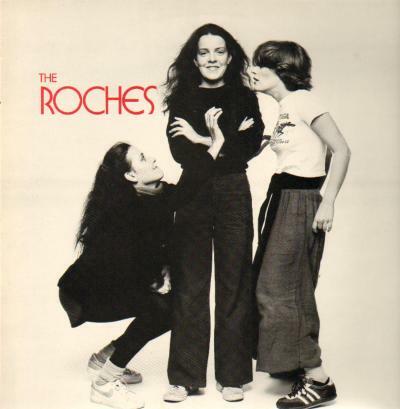 “We” is a personal introduction by the Roches, about the Roches, from their first album, The Roches. After saying that they don’t give out their ages or their phone numbers, they joke that their voices may give out…just not their ages or phone numbers. That line—witty, sharp, self-deprecating, byzantine in its structure —encapsulates everything you need to know about the Roches. Except that their voices don’t really ever give out. Their harmonies, and more often, their unisons, are sick ridiculous, akin to anything made by someone named Wilson, Phillips, or Wilson Phillips. Those should have been star-making turns, as seeing or experiencing the Roches is as important as hearing the Roches’ songs – they’ve got a lot of personality, quirk, and individuality that plays off in a stage act full of witty banter. Had the variety show not been dying by 1979, the Roches might have been a great selection to host one. “We” was released as a single from The Roches. Neither the single, the album, nor any future Roches project would ever chart in the United States. They went on to a prolific touring and recording schedule, playing to an enthusiastic cult audience, filling ten-plus more albums with humorous but not frivolous story-songs that live in a warm place between the Dixie Chicks and Loudon Wainwright (whom Suzzy Roche had a daughter with). If anybody under the age of 35 has heard of the Roches, it’s probably because of Tiny Toon Adventures. 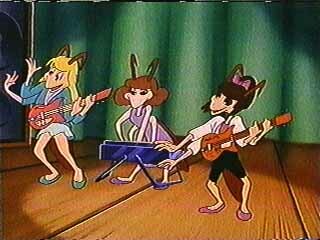 On a 1991 episode of the modern-day-infantilized Looney Tunes series, the Roches guest-starred in a one-off episode as a trio of singing…roaches.